In the time I’ve spent mastering the art of award travel, I’ve learned that there are many ways to get from A to B, but they’re far from equal. One airline or hotel might suit you where another won’t, and the same goes for rewards credit cards. Having a card that meets your particular needs is an important step toward traveling the way you want, so today TPG Contributor Nick Ewen walks us through some important questions to consider when preparing for your next application. I’m very fortunate to be able to travel a lot for my job, which helps me earn hotel points and airline miles much faster than most casual business/leisure travelers. 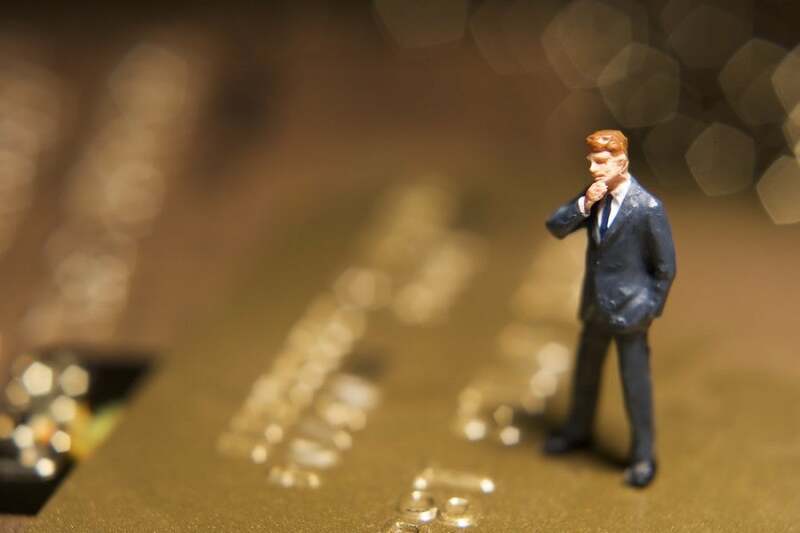 However, even if you’re not a road warrior, there are plenty of other ways to boost your loyalty accounts, and my personal favorite involves being savvy about how I choose and use rewards credit cards. In this post I’ll tackle the most important factors for you to consider when choosing a new credit card, and show you some tools to help you figure out which card is best for your spending habits. Will a wallet like this overwhelm you? How many credit cards should I apply for? For any beginners out there, knowing how many cards you want is a good starting point. 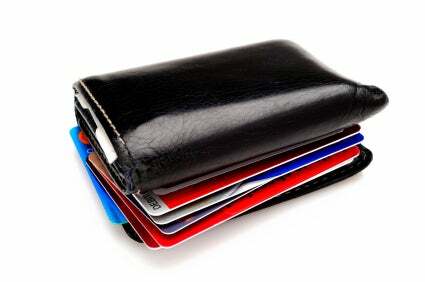 Ask yourself whether you can handle keeping track of multiple credit cards at the same time. My wife has a single credit card she uses for all of her purchases. She keeps detailed ledgers in Microsoft Excel, and she has no patience for jumping back and forth between 2 (let alone 10) different cards. If you’re still new to the points & miles game, starting out with one card is sensible. You’ll get a good idea of your monthly spending in various categories, build a relationship with the card issuer, and increase your credit history and credit score (assuming you pay your bill in full every month, which you should absolutely do). Starting small also gives you a chance to develop a system for staying organized, so you can easily keep track of bonuses, spending requirements, annual fees, and other pertinent details of your credit card accounts. Credit Karma is one of several services that give you a free credit report. What is my credit score? Think of a new card application as an invitation to a private party, and your credit score is the password you need to gain admittance. TPG wrote a great overview of credit scores in 2011, and Jason Steele wrote a terrific post earlier this year about how card applications affect your credit score. It’s essential to have a solid understanding of what your score is and how it’s calculated before you apply for a new card. There are three different credit reporting bureaus out there (Experian, TransUnion, and Equifax), and you’re entitled to a free report from each of them every year at annualcreditreport.com. Other sites like Credit Sesame (Experian) and Credit Karma (TransUnion) offer constant free access to one or another of these scores. However, the most important number is your FICO score, which represents an aggregate of all of your credit information, and according to the FICO website, is used in 90% of lending decisions. There’s a fee of $19.95 to pull this score (you have to choose one of the three bureaus as well), but there may be differences between this number and the ones offered by the aforementioned free services. 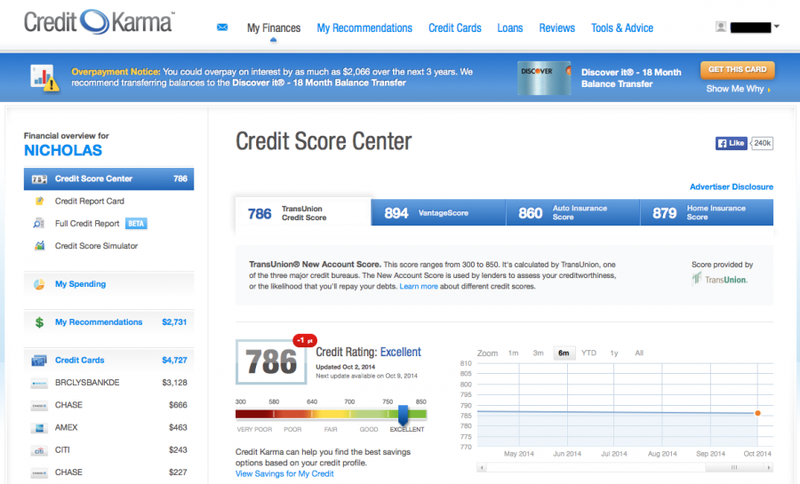 For example, my TransUnion score through Credit Karma and my FICO score were off by a point. If you don’t want to spend the $20, the free services allow you to estimate your FICO score, though keep in mind that each bureau may differ in its calculations. So what does this number mean? In essence, it gives the card issuer a way to quantify how risky you are as an applicant. Generally, a score of 700+ is considered good, though lower numbers don’t automatically rule you out for premium cards (nor do high scores rule out the possibility of rejection). Every card issuer has different (secret) criteria for approvals, and looks at every applicant individually. Your credit score is an important first step in figuring out where you stand. What kind of rewards and benefits do I want? Cards that are specific to a travel provider: These cards earn you points/miles/benefits with a single airline or hotel chain. Examples include the Gold Delta SkyMiles® Credit Card from American Express, United MileagePlus Explorer Card, Citi Hilton HHonors Reserve, and Starwood Preferred Guest® Credit Card from American Express. Cards that are specific to a retail store: These cards earn you rewards with a specific retailer. You’ll hear cashiers hawking these cards at checkout (“If you open a such-and-such card today, you can save 10% off your purchase!). 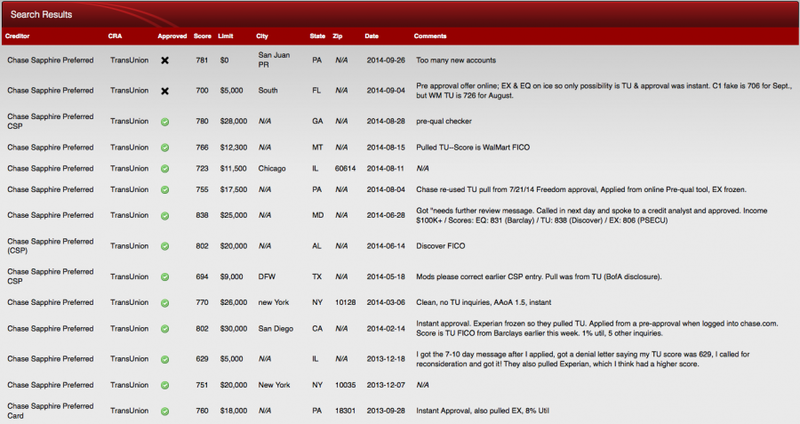 Examples include the Macy’s American Express and Target REDcard. Cards that are part of a transferable points program: These cards earn you points than can then be transferred to various travel partners, giving you flexibility to decide which airline or hotel is best when you’re ready to book. Examples include The Platinum Card® from American Express, Chase Ink Plus/Ink Bold, and Citi Prestige. Cards that offer fixed-value points: These cards earn you points that can be redeemed for gift cards, merchandise, cash, and/or statement credits. Examples include the Barclaycard Arrival Plus World Elite Mastercard, Chase Freedom, and Capital One Venture Rewards Credit Card. There are two components to analyzing what you’ll get out of a credit card: rewards and benefits. The former includes the points & miles that you can earn through welcome bonuses and regular spending, while the latter includes any perks of having the card (like complimentary elite status, free checked bags, no foreign transaction fees, etc.). Both are important factors when deciding on a card. If you want cash back in your pocket, an airline or hotel card won’t be of much use. Likewise, if you never travel outside the U.S. (or don’t plan to do so in the next few years), you may not need a card with no foreign transaction fees. How much do I spend each month/year, and where do I spend it? Another important consideration is how much money you typically spend on credit cards each month and/or year. Generally, the more money you can charge to a credit card, the more rewards you’ll earn, and many credit cards come with annual bonuses for hitting certain spending thresholds (like the free night certificate on the Citi Hilton Reserve card). 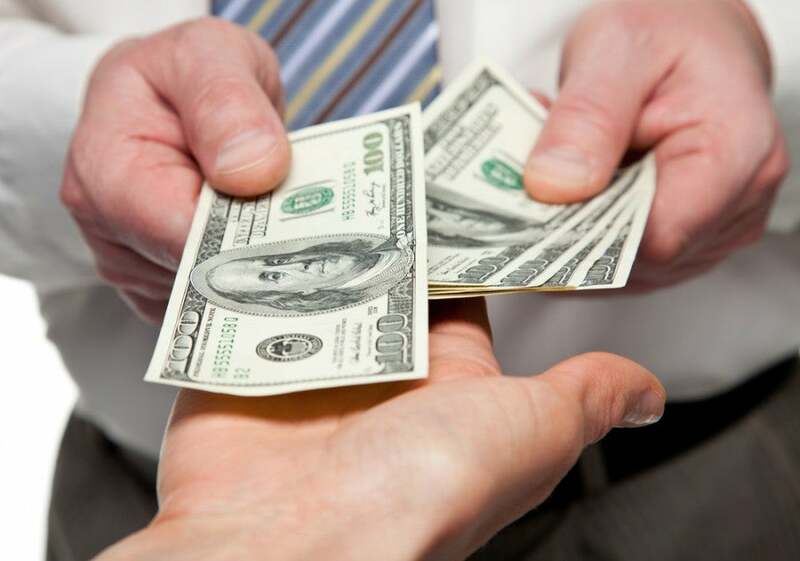 However, don’t view earning rewards as an excuse to spend more than you can afford, since finance charges will quickly negate the value of any rewards you earn. Just because you have a $10,000 credit limit doesn’t mean you need to use it all! A related consideration is where you typically spend your money. The majority of credit cards out there offer category bonuses, like double points on dining (Chase Sapphire Preferred) or triple points on airfare (Premier Rewards Gold Card from American Express). Take a look at how much you typically charge in a given month within various categories to identify cards that are well suited to your spending patterns. If you spend hundreds of dollars every month on hotels (for work or otherwise), you could be earning a lot more points by opening a co-branded credit card, or at least one that offers bonuses for travel purchases. Will you see a screen triumphantly announcing your approval? This final question to consider is likely the most important: once you’ve picked the right card(s) to apply for, can you get approved? While there’s no sure answer without actually applying, you can make an educated guess. Finding out your credit score is a great first step, and understanding how your credit history impacts your creditworthiness is another key ingredient. I think it’s also essential to be realistic; If you’re a 22-year-old recent college graduate with no credit history, chances are a “premium” product like the Visa Black Card will be out of reach. However, there are many cards available (listed in the TPG credit cards section) that are ideal for those with little to no history. Another site to check out is creditboards.com, specifically the Credit Pulls section. Simply enter the card issuer (e.g., Chase) or specific product you’re interested in (e.g., Chase Sapphire Preferred), and select the credit bureau from which you have your score. (I’d recommend leaving the “Score Needed” and “State” boxes blank/unchecked to get a larger number of data points.) The results will give you an idea of the score needed for approval. 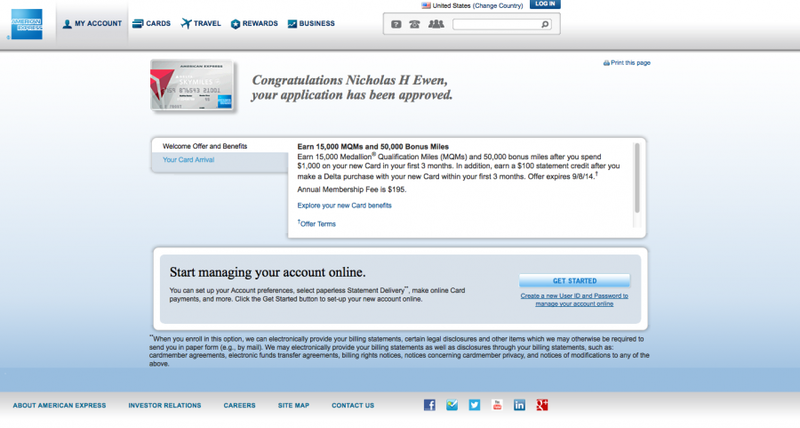 The image below shows the results of my search for “Chase Sapphire Preferred” using the TransUnion option. Again, remember that the score is just one component of the approval decision. Note that an applicant with a 781 score was denied due to too many new accounts, whereas another applicant with a score of 629 was eventually approved. Creditboards.com gives you feedback to help figure out what credit score you need for approval . If your head is spinning from all of these considerations, there’s a wealth of valuable information on The Points Guy. Use the search feature to find previous posts that cover things like the best card for a first-time applicant, top travel cards for college students, and best credit cards with no annual fee. The TPG Maximizer gave me some interesting and unexpected results. I have been eyeing the SPG American Express and Platinum Card for a while, and the Maximizer reaffirmed the value they would add to my wallet. However, I hadn’t really considered the United card. Since my wife and I are expecting our first child this November and thus don’t have any long-haul international trips coming up (this was one of the initial questions asked by the Maximizer), the MileagePlus Explorer could actually be a great option for shorter domestic trips. If you’re having difficulty deciding on which card(s) to apply for, try it out. What other factors do you consider when deciding which card(s) to apply for? Please share your thoughts on the credit card application process in the comments below!